A synthetic polymer emulsion designed to provide a dual bond system. A solvent free, water based adhesive which dries to form a transparent, permanently tacky coating and is suitable for use over underfloor heating installations. Dual Bond System – Permanent or Peelable bond. 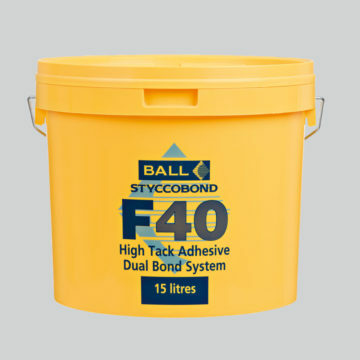 Permanent bond is achieved by laying the floorcovering into the wet adhesive. Peelable bond is achieved by allowing the adhesive to completely dry before laying the floorcovering or underlay. Allows suitable carpets or underlays to be lifted without significant damage to the floorcovering or subfloor.